[/av_heading] [av_textblock size=” font_color=” color=” admin_preview_bg=”] Ruth returned to work in her family’s Angus seedstock business in 2014. 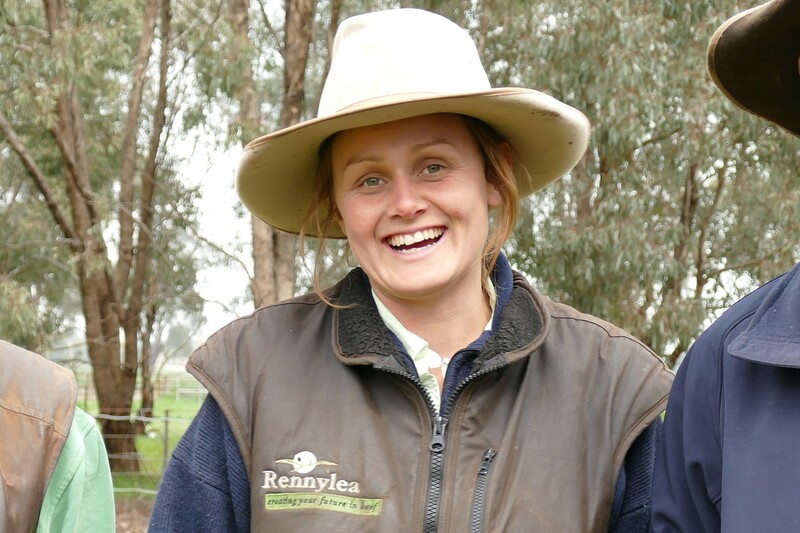 Rennylea Angus is based on seven blocks at Bowna in the Murray valley east of Albury and Culcairn 60km away, totalling 3200ha. Rennylea markets 550 bulls per annum by auctions, contract, leases and private treaty. Ruth is responsible for the day to day management of a 1500 head recorded cow herd. This includes birth weighing and tagging all calves, running a number of large scale AI and ET programmes, donor programming, making breeding decisions and bull marketing. The business includes her parents, five full time staff and one of her brothers who has recently returned home. Ruth completed a Bachelor of Livestock Science at the University of New England (1st Hons) in 2010. She achieved a Post Graduate certificate in Climate Change and Primary Industries whilst working for the Victorian Department of Primary Industries. She has a long involvement with the Australian Intercollegiate Meat Judging Association (ICMJ) competing in the US in 2011 and being a member of the voluntary organising committee from 2011-2017.